While DNA evidence and profiling have provided significant benefits to our criminal justice system, there is also concern regarding police misuse of DNA information. When the Home Office confirmed that it had more than five hundred thousand profiles obtained by DNA testing and analysis for false or incorrectly documented names, there was a great deal of public concern as well as issues raised by organisations focused on protecting civil rights and freedoms. The concerns, however, highlight what is a complicated debate regarding the use of DNA and the problems around unethical police access to the DNA database. There is also the fear that misuse could affect the integrity of prisons and probation for people whose profiles are held in the database. 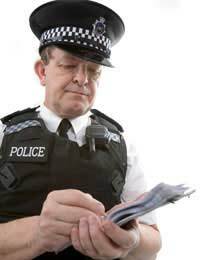 A suspect can be arrested for a number of offences and can have his or her DNA held regardless of whether they are charged with a criminal offence or if they are acquitted. With the British DNA database being the largest such database in the world, the potential for misuse has notably worrisome implications. Recent statistics from the Home Office showed that more than five hundred thousand profiles had wrongly spelled or incorrectly entered names in the database. The scope of these errors is certainly enormous and has prompted calls for better care and accountability in the handling of sensitive information. Clearly, it is important to use DNA for solving crime and safeguarding the public by identifying criminals who are at risk of offending again. At the same time, there must be a balance to ensure that innocent people do not have their information misused. The DNA database needs to be regarded as a credible source of information – one that is not overwhelmed with errors and misuse. One problem surrounding the DNA database is its accuracy in terms of identifying a person. Errors that have been noted include the use of someone else's name for DNA evidence or the names of people who do not even exist. While it may seem surprising that this occurs, you have to also consider that in the United Kingdom (UK), DNA evidence is taken for minor crimes such as public nuisance issues. This means that evidence clarity is compromised because it is not even a case of a person being arrested and formally charged. With plans to expand the database to include people who commit offences such as littering or not paying railway fares, there is increased concern over the police misuse of DNA, particularly given the issues already raised around inaccuracies. If we also look at the enormous number of children in the database, there is still more concern to ensure that police do not misuse DNA profiles of a group that requires safeguarding and protection. One claim from a human rights group is that it is already troubling enough that the database holds profiles from a large number of children, innocent individuals and ethnic minorities. Adding in the inaccurate information and misuse only compounds what is clearly a major concern that needs to be tackled. Responses from the government and criminal justice system representatives have argued that the system is not perfect but that it has saved lives and resulted in criminal convictions, which emphasises its importance in providing the public with protection and a successful criminal justice system. The need for a DNA database seems clear if we look at the importance of the database for identifying criminals and protecting the public. However, this kind of public protection must also be performed carefully to ensure that information is held safely and that it is ethically used and accurate.